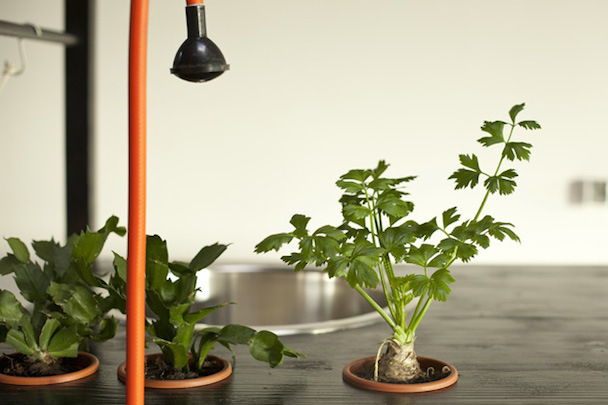 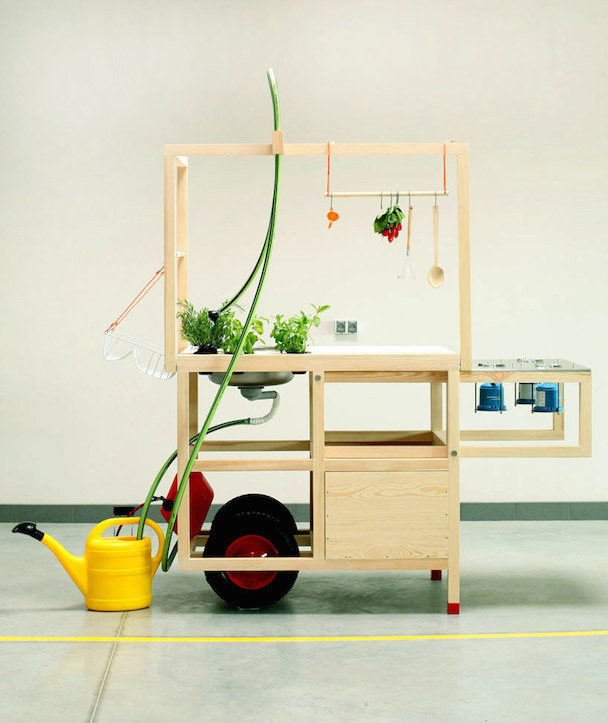 Vienna-based design and architecture studio Chmara.Rosinke has developed “Mobile Hospitality”. 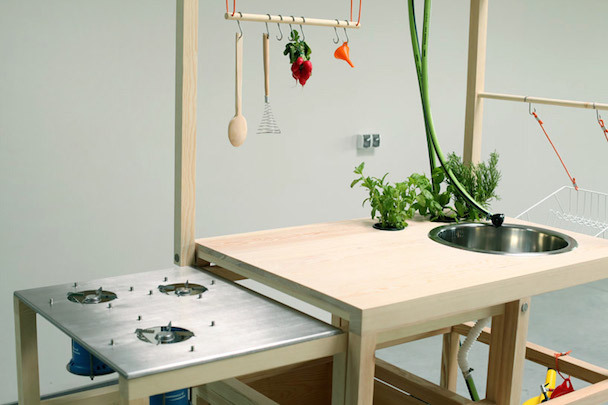 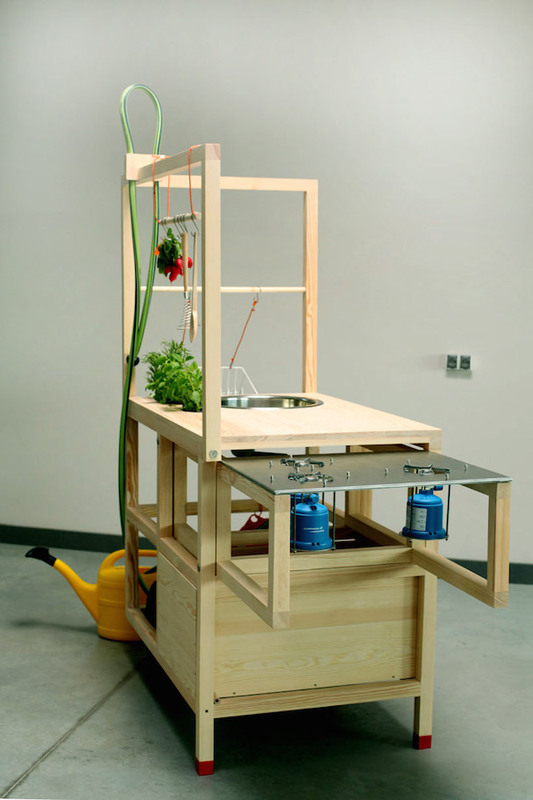 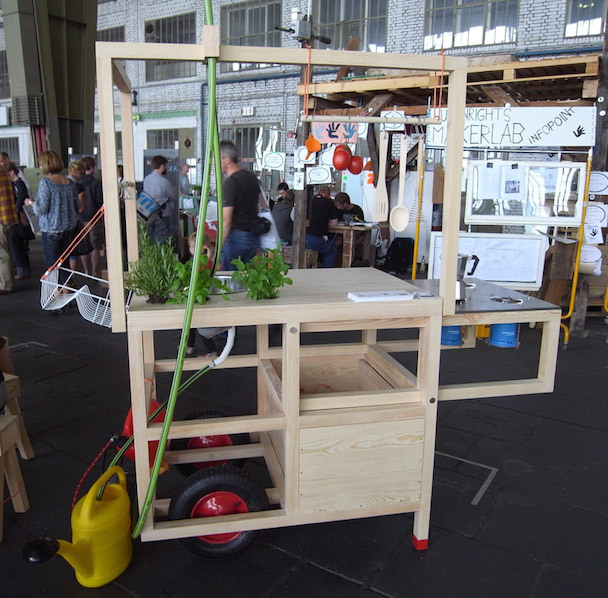 The project manifests itself as a portable wheelbarrow kitchen, dining table and 10 folding stools, including functional aspects such as a pump for running water, pots for growing spices and a rudimentary stove. 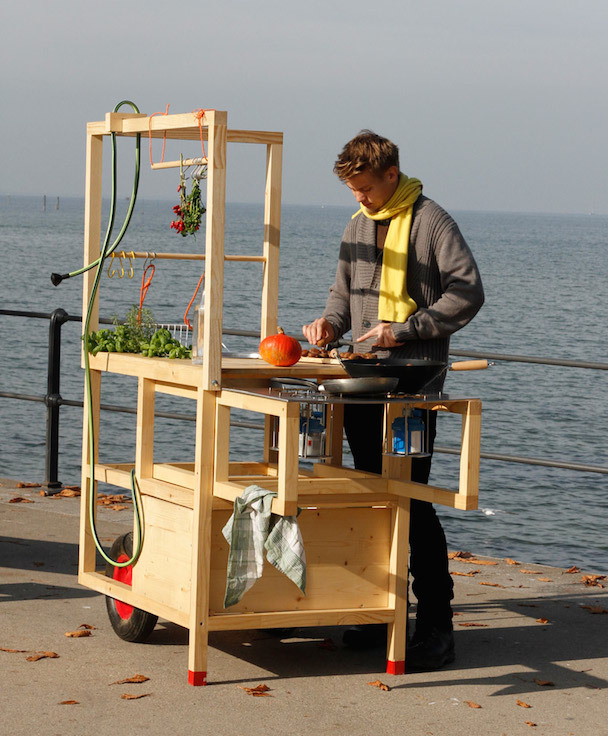 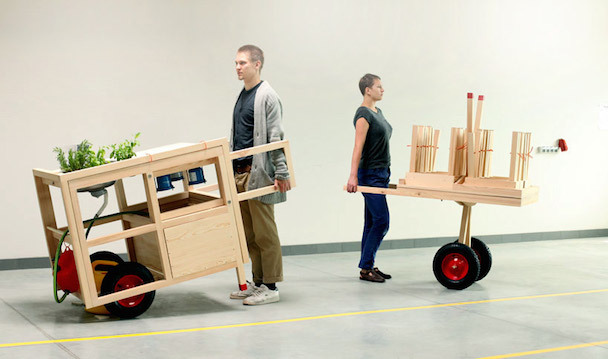 Focusing on celebrating public space and the ritual of eating, the entire piece folds down into two transportable carts. 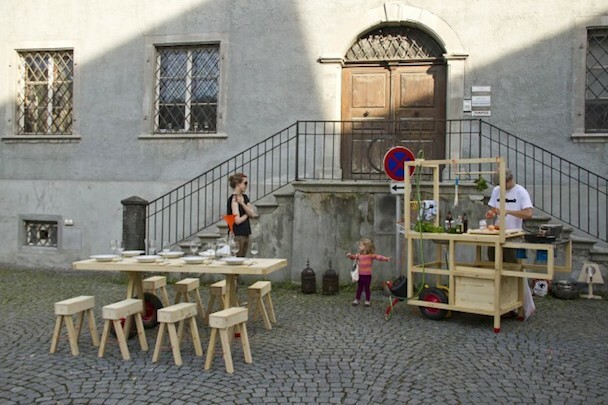 “We were driving with the wheelbarrow kitchen, -table and ten folding stools from place to place to sit and eat in public space with spontaneously joining passers-by. 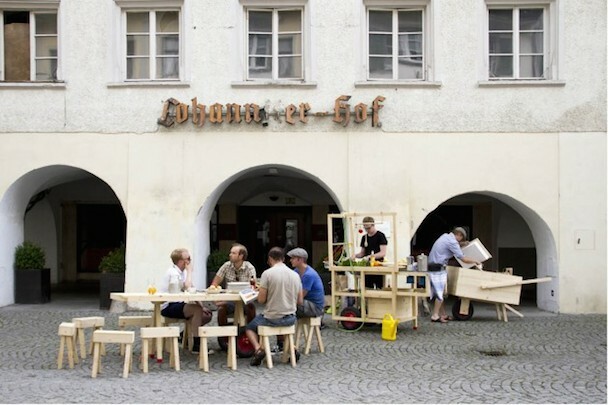 At this big table, design meets delight and generates a very good opportunity to get to know each other”. 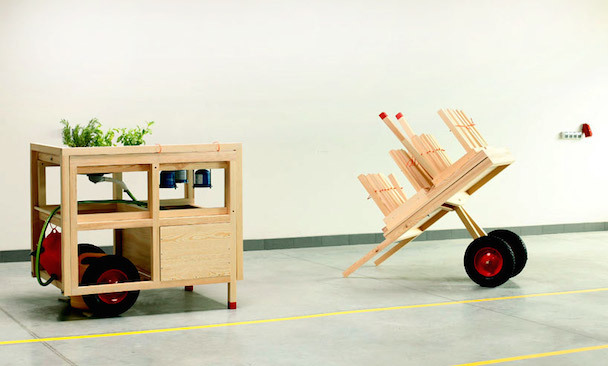 The formal language of the objects is kept very clear and deals consciously with DIY aesthetics. 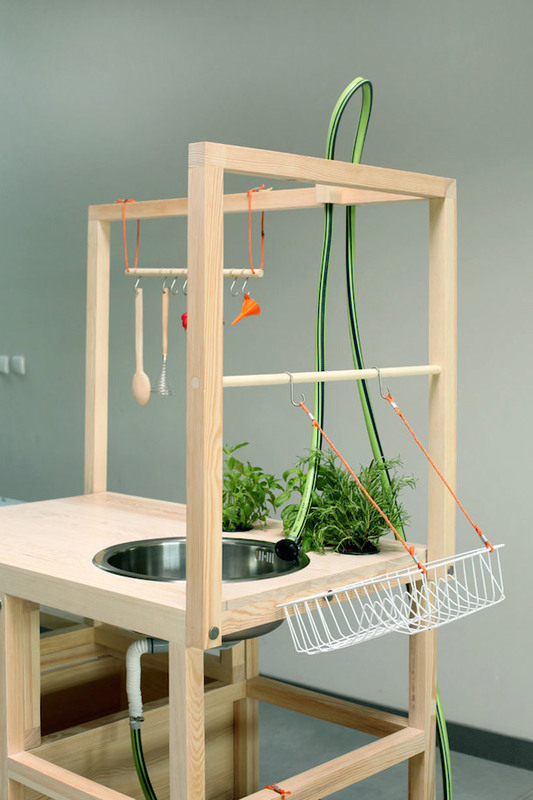 All the objects are made out of massive wood and replenished with additional functions, like for example a foot pump for running water or pots with growing spices. 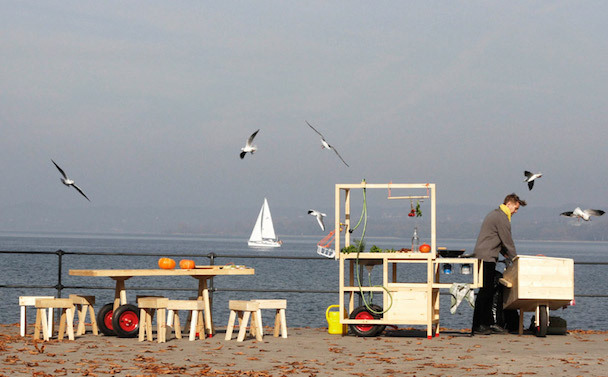 For more information or to get in touch with the architects, just follow the link below.